Many players are familiar with the lumbering British behemoth that is the Churchill infantry tank. However, what later turned out to be a very effective and versatile vehicle, started off very differently in contrast to its later developments. 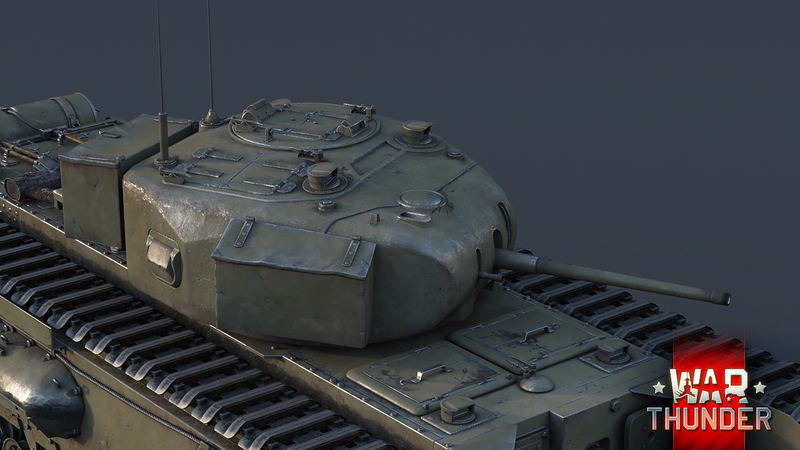 Meet the first version of the legendary Churchill infantry tank in Update 1.69! Right at the outbreak of the Second World War, British high command issued an order for a new infantry tank design that would replace the outdated Matilda and Valentine tanks. At the time, it was expected that the new conflict would turn into a trench war, just like WW1, thus emphasis was put on thick armor and good firepower at the cost of speed. After initial struggles, the first prototype of the tank, that would later be designated as the Churchill Mk I, was built in late 1940 and was hastily rushed into production in 1941. However, as the vehicle was hasted into production, proper testing and evaluation could not be done, leading to the first version of the Churchill being plagued by various issues such as lack of engine power, reliability issues and inadequate firepower. Nevertheless, the tank had to be accepted in an “as-is” state as the British military had a shortage of armored vehicles after retreating from France in 1940. A total of 303 Churchill Mk I infantry tanks were produced in 1941. However, nearly all were later on converted to special versions and trainer vehicles. 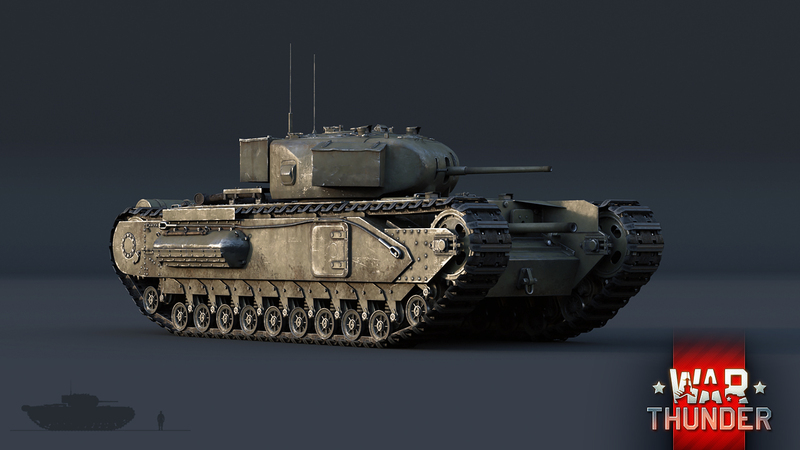 In War Thunder, the Churchill Mk I is an interesting addition to the lower ranks of the British ground forces tree. 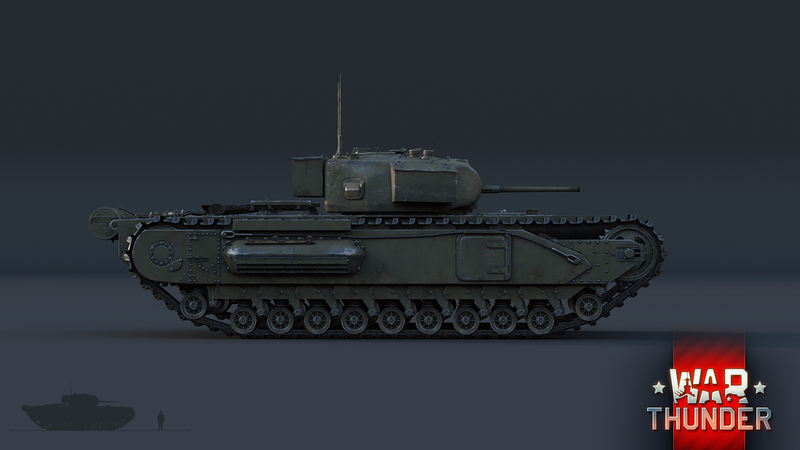 It possesses the characteristic thick armor all Churchill variants are infamous for and is in no rush to get to the battlefield with a top speed of 26 km/h. 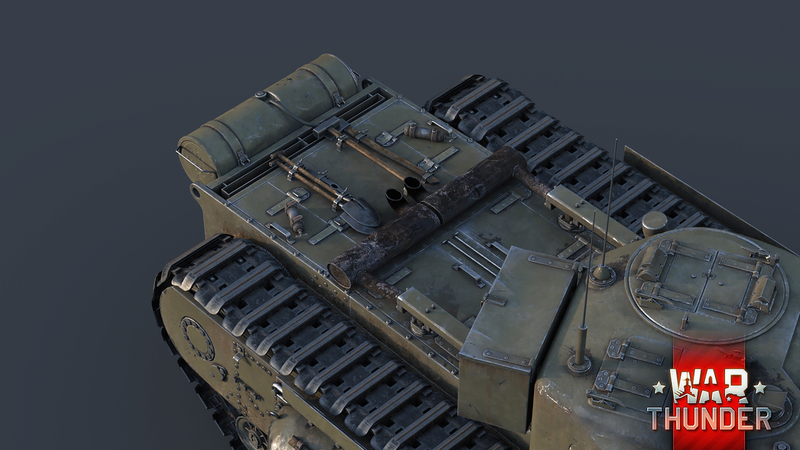 However, unlike its later variants, the Churchill Mk I features two cannons instead of the traditional one. Mounted in the turret sits the 40mm OQF Mk. IX cannon, which primarily shoots solid rounds. This ammunition type often has decent armor piercing capabilities, but due to the lack of an HE filler fails to deliver significant post-penetration damage. Commanders of the Churchill I need to rely on their aim and the high fire rate of the 40mm cannon in order to take out opponents effectively. The secondary cannon is a 75mm howitzer that covers the front part of the vehicle and is located in the hull. Its intended role was to shoot high explosive rounds at hostile personnel and installations, however, in game, this cannon will find good use at engaging lightly armored vehicles. The role of the Churchill I on the battlefield is clear - push objectives and provide support to your allies. Avoid getting cut off from your teammates as the Churchill I can easily fall prey to nimbler opponents and is susceptible to being outflanked. The A22 Churchill Mk I arrived to the second rank of the British ground forces tree with War Thunder’s Update 1.69. See you there! I think you guys should down tier it to 3.0, I don't find it decent in the BR it's at right now. __Reichtangle__, Reichtangle that's the kind of comment that makes me wish we got a downvote button. For the next update, will the AVRE be included? would be nice to have a KV-2 like tank in the british tech tree. Bishop might be fun too. AVRE is not planned at the moment, there are several issues with the vehicle. One being external loading of the mortar. Thulle_, Didn't stop them making the Japanese recoil-less guns or ATGM... It's no secret, Gaijin Love downplaying the Brits. with the 75mm only firing HE it's quite useless. It might be getting smoke soon.